No Zaha: Yet £9m-rated star really stepped up when Palace needed it most on Saturday - opinion | The Transfer Tavern | Where football transfer rumours fly or die! Crystal Palace supporters have been making a lot of noise in recent times after seeing their team pick up just their fourth Premier League victory of the season at the weekend. Roy Hodgson’s men went into their encounter with Leicester City at Selhurst Park off the back of successive defeats at the hands of Brighton and West Ham, yet having won their last game at home against fellow strugglers Burnley. And the Eagles made it back-to-back victories at Selhurst Park in narrowly edging Claude Puel’s Leicester 1-0, with Luka Milivojevic’s effort six minutes before half time proving to be enough to seal a fourth win of the campaign for Hodgson’s side. Thus, there have been many delighted Palace fans up and down the country in recent times, with much of the fallout focusing on the Eagles’ ability to win without talisman Wilfried Zaha, who missed Saturday’s victory due to suspension. It has been two years since the Londoners had managed to taste victory without the Ivory Coast international to underline the heavy reliance they have on him, but in his absence on Saturday, it was £9 million-rated Cheikhou Kouyate (as per Transfermarkt) who really stepped up when Palace needed it most. The 29-year-old made the somewhat surprising move to Selhurst Park from fellow top-flight outfit West Ham during the summer as Hodgson sought to bolster his midfield ranks, with his tally of 15 Premier League appearances underlining just how key a signing he is proving to be. And with several impressive displays in that time, the Senegal international appears to be going from strength to strength at his new club, with his performance against Puel’s Foxes on Saturday perhaps his best of the lot at a time in which Palace really needed it in Zaha’s absence. The midfielder touched the ball 50 times over the course of his 65 minutes on the pitch but finished the clash with a very impressive pass success rate of 90%, which was higher than any of his Palace teammates to underline how well he kept things neat and tidy in the middle of the park (as per WhoScored). 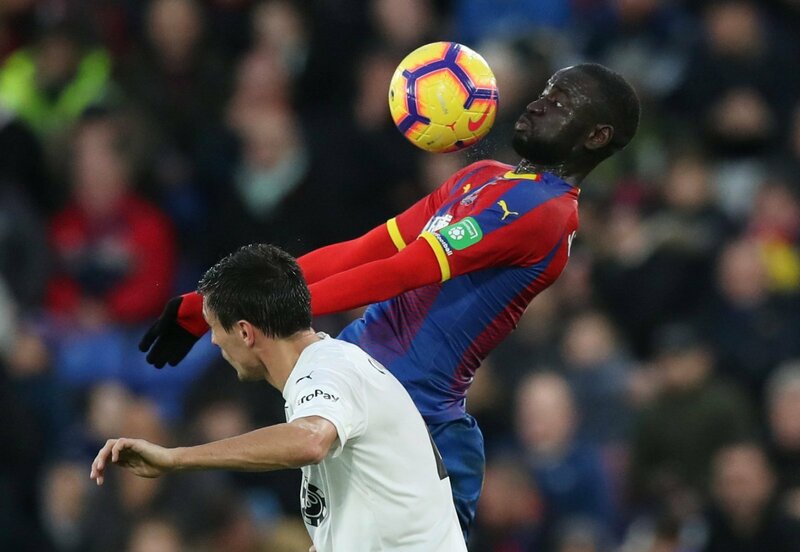 And with one of 27 completed passes proving to be a key one, alongside his tally of two completed dribbles, Kouyate certainly played his part in getting Palace up the field and thus seeking to make a difference in the final third – an area of the field they are often reliant on Zaha to deliver the goods. But it was also defensively in which the 29-year-old shone throughout his 65-minute spell on the field on Saturday, winning two of the three aerial duels he contested, at the same time completing a team-high eight tackles to thwart Leicester in the centre of the pitch. So while Zaha’s absence would have likely concerned Palace fans ahead of the visit of the Foxes on Saturday, it was up to his teammates on the field to step up when Hodgson really needed it most – there’s little doubting that Kouyate did just that at Selhurst Park.